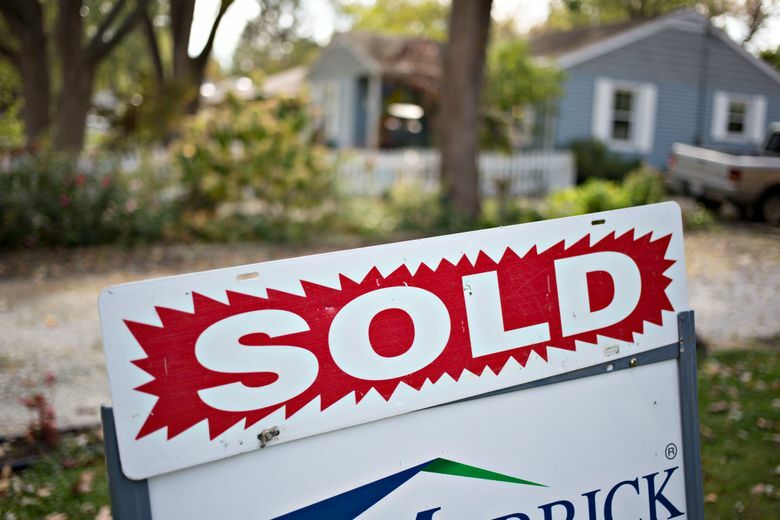 A “sold” sign stands outside of a home in Peoria, Ill. (Bloomberg photo by Daniel Acker). The No. 1 regret across all generations was buying a property that was too small. While most people are happy with the results of their first home-purchase experience, a recent survey by Porch.com, a network that connects homeowners and home professionals, found that most homeowners have a few regrets and lessons learned. Most buyers anticipate the money they’ll need for their mortgage, homeowners’ insurance and taxes, but they don’t always budget for home maintenance and repairs. While the amount needed varies widely according to the size, age and condition of a home, many financial experts suggest saving at least 1 percent of the home value annually, specifically for repairs. Yet only 52 percent of the homeowners in the Porch survey had planned for home maintenance for their first year. Homeowners spent the most money on new appliances (16 percent of respondents) during their first year, followed by replacing the roof (13 percent), replacing a furnace or air conditioner (11 percent), landscaping (10 percent) and replacing flooring (9 percent). Nearly half (46 percent) of those surveyed said they spent more than their budget during the first year of homeownership.